So, you’ve just had an eye exam and your optometrist or ophthalmologist has given you an eyeglass prescription. He or she probably mentioned that you are nearsighted or farsighted, or perhaps that you have astigmatism. But what do all those numbers on your eyeglass prescription mean? And what about all those abbreviated terms, such as OD, OS, SPH and CYL? 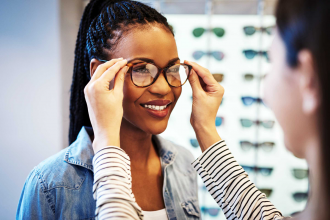 This article will help you decipher all parts of your prescription and discuss it knowledgeably with an optician when you’re buying eyeglasses. Though the use of these abbreviated Latin terms is traditional for prescriptions written for eyeglasses, contact lenses and eye medicines, some doctors and clinics have opted to modernize their prescriptions and use RE (right eye) and LE (left eye) instead of OD and OS. On your eyeglasses prescription, the information for your right eye (OD) comes before the information for your left eye (OS). Eye doctors write prescriptions this way because when they face you, they see your right eye on their left (first) and your left eye on their right (second). 1. Sphere (SPH). This indicates the amount of lens power, measured in diopters (D), prescribed to correct nearsightedness or farsightedness. If the number appearing under this heading has a minus sign (–), you are nearsighted; if the number has a plus sign (+) or is not preceded by a plus sign or a minus sign, you are farsighted. The term “sphere” means that the correction for nearsightedness or farsightedness is “spherical,” or equal in all meridians of the eye. 2. Cylinder (CYL). This indicates the amount of lens power for astigmatism. If nothing appears in this column, either you have no astigmatism, or your astigmatism is so slight that it is not really necessary to correct it with your eyeglass lenses. The term “cylinder” means that this lens power added to correct astigmatism is not spherical, but instead is shaped so one meridian has no added curvature, and the meridian perpendicular to this “no added power” meridian contains the maximum power and lens curvature to correct astigmatism. 3. Axis. 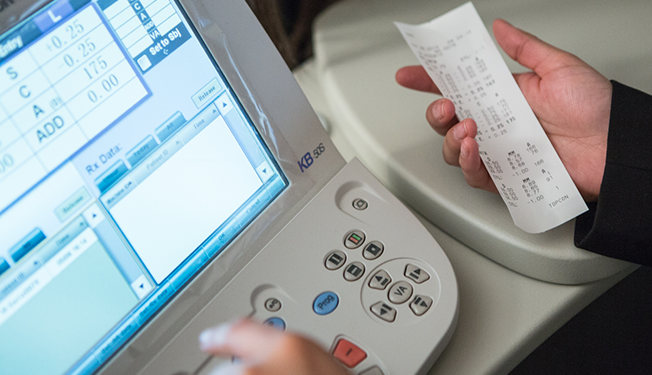 This describes the lens meridian that contains no cylinder power to correct astigmatism. The axis is defined with a number from 1 to 180. The number 90 corresponds to the vertical meridian of the eye, and the number 180 corresponds to the horizontal meridian. 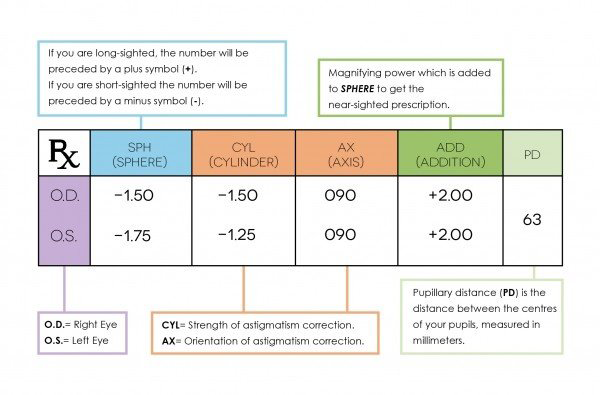 If an eyeglass prescription includes cylinder power, it also must include an axis value, which follows the cyl power and is preceded by an “x” when written freehand.The axis is the lens meridian that is 90 degrees away from the meridian that contains the cylinder power. 4.Add. This is the added magnifying power applied to the bottom part of multifocal lenses to correct presbyopia. The number appearing in this section of the prescription is always a “plus” power, even if it is not preceded by a plus sign. Generally, it will range from +0.75 to +3.00 D and will be the same power for both eyes. 5.Prism. This is the amount of prismatic power, measured in prism diopters (“p.d.” or a superscript triangle when written freehand), prescribed to compensate for eye alignment problems. Only a small percentage of eyeglass prescriptions include prism. Sphere power, cylinder power and add power always appear in diopters. They are in decimal form and generally are written in quarter-diopter (0.25 D) increments. Axis values are whole numbers from 1 to 180 and signify only a meridional location, not a power. When prism diopters are indicated in decimal form, typically only one digit appears after the period (e.g., 0.5). 6. Additional Information. 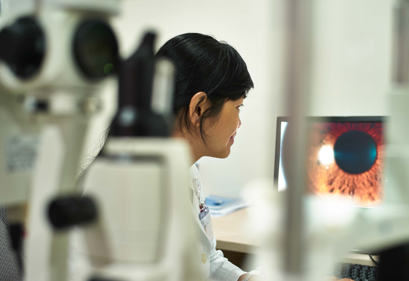 Your eye doctor also might write specific lens recommendations on your eyeglass prescription — such as anti-reflective coating, photochromic lenses and/or progressive lenses — to give you the most comfortable vision correction possible. Eyeglass and contact lens prescriptions aren’t the same. An eyeglass prescription is for the purchase of eyeglasses only. 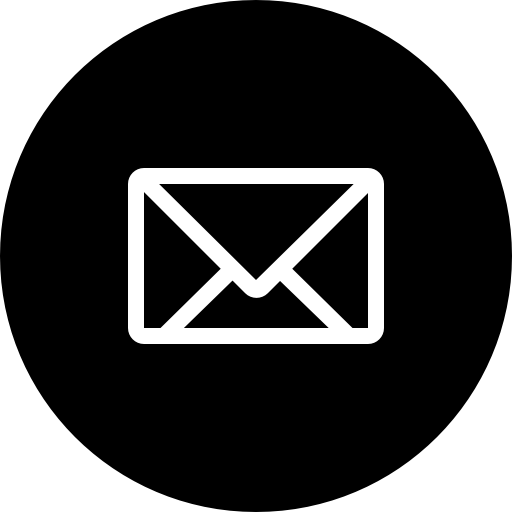 It does not contain certain information that is crucial to a contact lens prescription and that can be obtained only during a contact lens consultation and fitting. Eyeglass lenses are positioned at a distance from the eyes, while contacts rest directly on the eyes. That distance affects the lens power required for eyes to focus properly. In addition to the information in an eyeglass prescription, a contact lens prescription must specify the base (central) curve of the back surface of the contact lens, the lens diameter, and the specific manufacturer and brand name of the lens. Also, the power of an eyeglass prescription frequently is modified when determining the best contact lens power. One reason is that eyeglass lenses are worn some distance (usually about 12 millimeters) from the surface of the eye, whereas contact lenses rest directly on the eye’s cornea. An accurate contact lens prescription can be written only after a contact lens fitting has been performed and the prescribing doctor has evaluated your eyes’ response to the lenses and to contact lens wear in general.